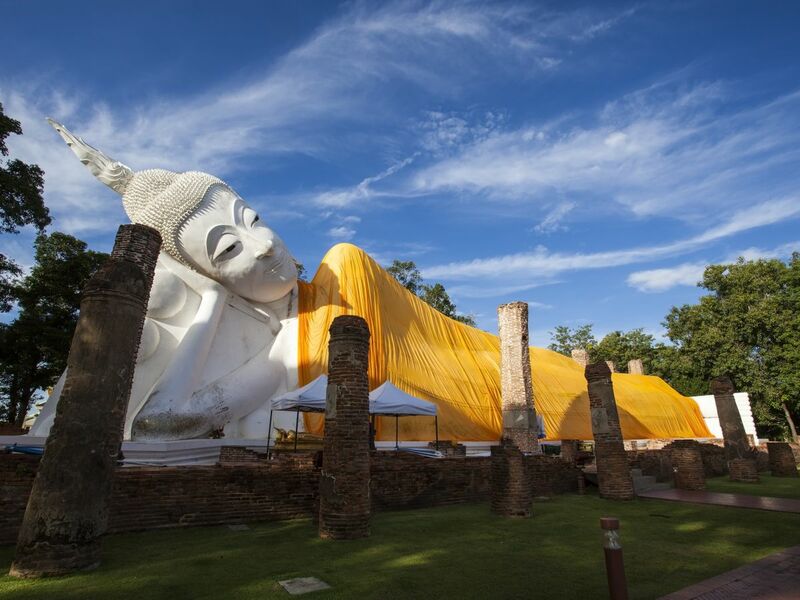 Just an hour’s drive from Bangkok, you’ll find a diverse range of things to do and see in a myriad of places. Stunning ancient city ruins, delectable food, and friendly local communities are easily within reach. If you’re looking for a short day trip jam-packed with many activities to enjoy, these places are your best bet! Head out a little further, and you’ll soon find out that the extra hour is well worth the trip! The succulent seafood, intriguing museums and temples, iconic local markets, and the exuberant nightlife are all reachable within a 2-hour drive from Bangkok. Visit these cities below, and be amazed by the gems that you’ll truly find! Let's Relax and Enjoy Eating Fresh Thai Fruits at a Farm in Chonburi! Exploring Beaches in 3 Places & Cooking Fresh Lunch! Just 3 hours away from Bangkok, you’ll find lush forests and rivers, pristine national parks, picturesque waterfalls, and pleasant sandy beaches. If you have time to spare, a day trip to these places below is the perfect getaway from all the fast-paced city life. If you want, you can stay overnight trip to get the most out of your trip. Bangkok to us is a fast-paced city full of both modern and traditional examples of Thai culture. Even though the city is a must-visit on every traveler’s checklist, it’s good to take a break from the hustle and bustle sometimes. Fortunately, the nearby areas of Bangkok are full of hidden gems that make for a perfect day trip for all sorts of travelers. Whether you’re looking for solitude at a waterfall or an island, a dose of World War 2 history, or a trip to the ancient temples, you’ll be surprised that many of them are actually not too far from the sprawling mega city. Whether it’s only an hour or two away or if you’re willing to go a bit further, take your pick from these amazing places near Bangkok, and get that much-needed break from the city! If these are not exactly what you're looking for, remember that Bangkok can still fit the bill for every type of traveler. Discover more of Bangkok right here below!